It feels pretty devastating when you put a lot of heart (not to mention time and money) into a new non-profit or mission, only to find out it’s not going to work the way you’d hoped because you can’t get the funding. I’ve been in a similar situation. My first campaign failed. My second campaign failed. So did my third. It wasn’t until the 10th campaign that I started understanding what did and did not work. But getting to that point took a lot of heart, time, and money! I’m guessing you want to bypass all that heartache and get to the heart of how to run campaigns that work, right? Here are three steps you can take to assess if your campaign is likely to succeed or fail. Without going through all that pain. This applies to what you write and show on your website, what you distribute in brochures and on paper, and especially what you say to them in person. 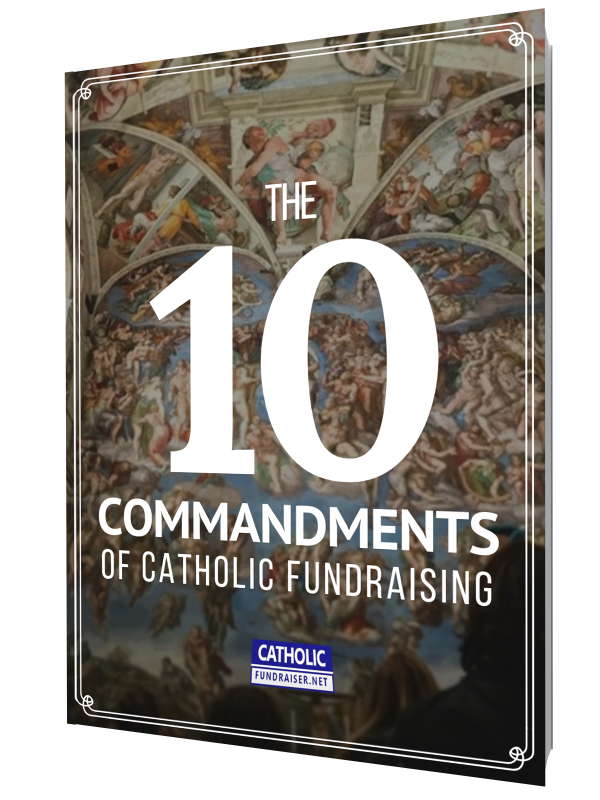 In my own experience, I’ve come across Catholic nonprofits that struggle to communicate what it is they do, how they do it, and why anyone should donate to them. Rather, they assume it all makes sense because their mission is connected in some way with the Gospel. Well, even if you are feeding the poor, you’ve got say more than that in a campaign. You must remember that people don’t give simply because you asked them or because you are fulfilling a Beatitude. They have to know who you are, what you do, and why and how you do it. Don’t overlook this step by assuming that your who, what, why and how should be perfectly clear to those you are asking for support. This is where most Catholics fail because they think it’s clear to them so it must be clear to others. Always improve how you share your story and always get feedback on how much people understood. People must be able to contact you. Getting “in touch” applies to contacting you directly. This means they can reach you directly via your website via email, a leaflet they picked up, or after hearing about you through a friend. When Catholic nonprofits ask me for help with fundraising, one of the first things I do is review how quickly I can find their contact information. Most of the time, the first clue as to why their fundraising isn’t working can be found here: when the email addresses, phone numbers, and addresses of key people are not clearly displayed. This has to change — first — before you can make your campaigns work. People want to connect with people, so make sure people can connect with you. They don’t want a form to complete and click a Send button. They want to call an office line and either talk to a real person or at least leave a real message. They want (and rightly deserve, since your intent, after all, is to ask them for a donation) to know who they can directly call or email. They want the name of the person they’re contacting, what their role is in the organization, and how to reach this person through multiple routes of contact. Before you go after new donors, make sure that your current donors enjoy supporting you. This is important for two reasons: One, donors are often your best sources for new donors. When donors tell friends and family about you, they inspire others to learn about you and to get involved too. Two, you learn what attracts people to financially support you. Remember that people donate for emotional and logical reasons. When you learn what keeps donors happy, you can embrace the importance of these two reasons and apply them to future campaigns. Fundraising begins much earlier than writing that first appeal letter or asking for a donation. You have to apply these three steps first, before you send letters and knock on people’s doors asking for donations. Question: How will you prepare to make your next campaign work? Please leave a comment below and I will respond directly.